Natalie Johnson and her wife were exploring a new church. They were welcomed with open arms and felt safe in their new church home. But that changed when the pastors finally revealed a change in policy that left both of them devastated. In May of 2016, I married my soulmate,a great woman of faith with a spiritual journey similar to mine. 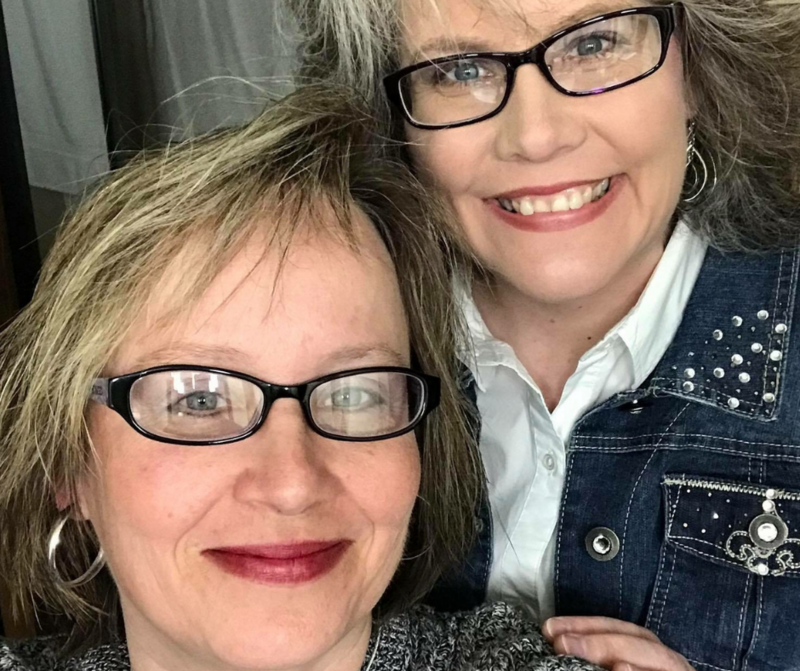 She had been in ministry for over 20 years and had only been absent from church since coming out a couple years earlier, and at this point I had been out of church for around 30 years with no real desire to go back, well aware of how few churches would support us and our marriage in the Bible Belt. After many discussions, I agreed to attend a church with her for an initial visit. I felt that was all I could promise because I wasn’t interested in a consistent, long-term church attendance. We searched the web, went to various church websites and Facebook pages to try and find out if we would be truly welcomed. In our research, we saw Movement Church posted condolences on Facebook following the Pulse nightclub shooting in Orlando. Seeing this made us believe that maybe we’d be welcomed there. The first time we came to service we were greeted with open arms, hugs and positivity. It was shocking to me as I wasn’t expecting to be warmly received at all. We spoke to the pastors and they seemed to be very excited for us to be there. I was so surprised and relieved, that I told my wife I would continue to go with her as long as she wanted to go. I still remained internally apprehensive, but did not want my jaded personal history to affect my wife’s spiritual journey. We immediately had numerous calls and conversations with the pastors, a husband and wife co-pastor team, to discuss their views on LGBTQ+ participation and the church. We were completely honest about our backgrounds, how churches had hurt us and how tenuous my faith in the church really was. We completed their program that allowed new attendees to discover where they could serve, based on their spiritual gifts. There were no limitations presented and we were shown the whole gamut – from teaching to giving, children to music, etc. I felt a little bad because I really didn’t feel a call to serve and couldn’t yet commit to anything. However, my wife was a gifted teacher, musician and all-around extrovert so she signed on to serve in numerous capacities. She auditioned and began singing on the worship team. She worked the church merchandise table. She got involved in the women’s group. And she knew how tough ministry can be so she would meet with leaders often to pray, support, or anything else they needed. It took about 9 months for me to get to the point where I was really bought into the church, where I stopped actually expecting the other shoe to drop. Sure, there were little things here and there I wasn’t 100% in agreement, but I didn’t want that to stop me. In hindsight, I can see the red flags, but I was assured my wife and I had a place in this congregation, so I let my guard down. My wife was flourishing. Seeing her onstage singing for a church and having everyone support and love us, an out lesbian married couple, made my soul soar. So when they announced they were doing baptism, coincidentally on our first wedding anniversary, I decided to participate. I wanted to be baptized, it felt like it was meant to be. A few weeks later, my wife got a message they needed to meet with her that night about her being on the platform during worship. When she came home she was in tears as she shared everything about the 3-hour meeting. We were both devastated. They said they always believed being gay was a choice, therefore a sin. They could no longer allow people who chose to remain in unrepentant public sin to be on stage. This would limit her being on stage for worship, or any eventual teaching or preaching, sharing a public “word” from God, and other leadership positions in the church, such as teaching. But she could still serve in less visible ways, like selling their merchandise, cleaning the church or serving coffee even in a leadership capacity. They also stated they were not planning to tell the congregation of this change in policy but would answer questions if people approached them. This deeply troubled both of us. Over the past year we had gotten to know and befriended numerous people who claimed to be LGBTQ+ allies and seemed to support us and our marriage. Realizing those friends were going to be deceived and mislead was a bitter pill to swallow. Not to mention several LGBTQ+ congregants who might get hurt in the future if they chose to pursue getting involved more with Movement Church. Much to the pastors’ chagrin, the news spread on social media like wildfire, and they did end up addressing the situation on the following Sunday, albeit in a way which felt very secretive. It’s the only service I’m aware of that wasn’t live streamed or posted online, so if you didn’t happen to attend that Sunday, there’d be no way to know what their positions on LGBTQ+ participation actually were. A few people left the church in the aftermath but within 2-3 months they recovered and rebranded their original image, focusing on the diversity of their congregants appearance, music and style, again saying “all are welcome,” but never addressing or acknowledging the limitations of that welcome. They are still scored on Church Clarity as “Undisclosed”. Our story did not end there. We knew there was a need and desire for a contemporary, non-denominational church in this area. One that truly welcomed ALL to participate fully as God’s direction on their life called to them. We felt to “love thy neighbor as thyself” should include the desire to guarantee that neighbor had the same access to serve as we had for ourselves. So, a handful of us launched Unlimited Ministries of Alabama. If no one was going to provide this type of church In the North Alabama, we were going to do it ourselves. One of the first things we did after we launched was submit a Verified Clear survey to Church Clarity. We are proud to be a verified clear congregation and open about our views and our policies and are constantly encouraging others to do the same. We don’t expect all churches to be supportive to the LGBTQ+ community (even though we wish they were), however, we do expect for all churches to be open and honest about their views so people attending have the basic information necessary to build a strong and honest relationship. Our hearts ache for those who are mislead by a church because so often the pain of deceit, mixed with the rejection that follows, can result in damage or death of a person’s faith and in some cases, even their life. We are our sibling’s keeper. Even if a church’s policy does not affect you personally, your silence is your permission for that church to continue on the path of discrimination and devastation. We never ask for people to be angry or hate any church for their policies. Churches are private organizations and are fully allowed to create policies that align with their beliefs, but it is each person’s duty to do what’s right and speak up if ambiguity surround a church policy is harming people. As Jesus said, “…as you did it to one of the least of these my brothers, you did it to me.” (Matthew 25:40) So let’s do the right thing. Let’s get be truthful and clear about policy so we can avoid the other shoe dropping.